Dating back to the 16th century, Cartagena’s famed city wall is the best way to get to know this colonial port town. 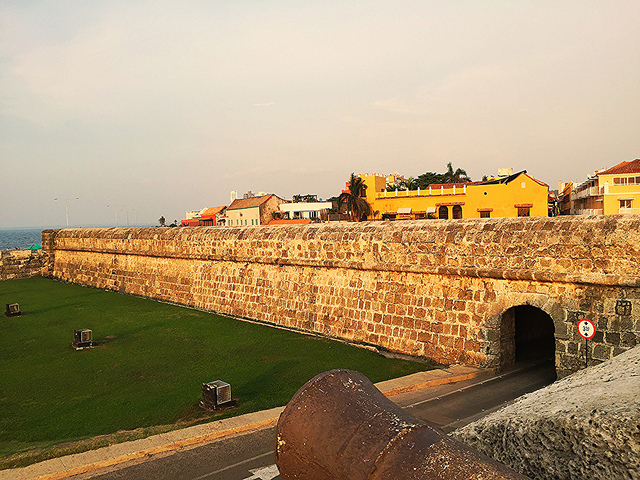 The wall, built by the Spanish in order to protect this strategically significant city, still surrounds much of the old city, Cartagena de Indias, and can easily be covered in an hour. Providing some of the best views into the city’s gorgeous pastel buildings and cobblestone streets, this is a can’t miss when visiting Cartagena!